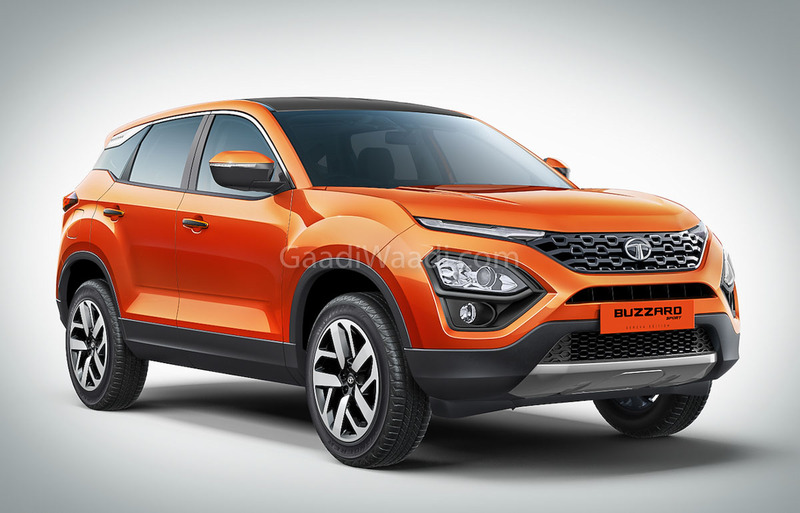 Tata Harrier has made its European debut at the 2019 Geneva Motor Show and the company has renamed the model as Buzzard Sport. 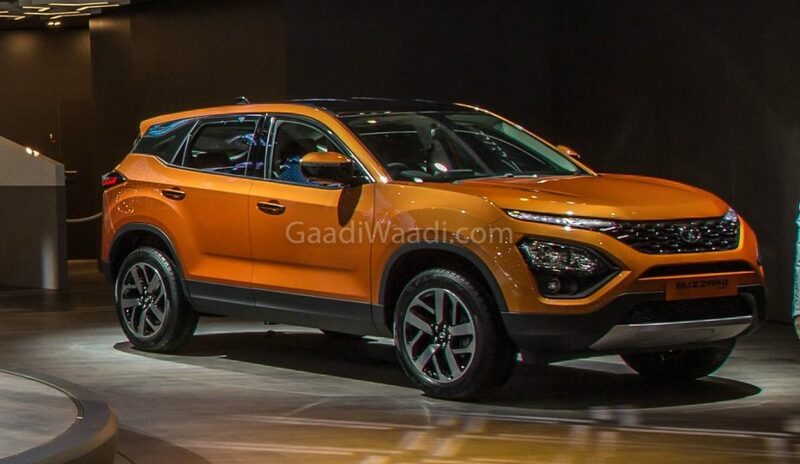 The SUV has been showcased along with four new concept models at the motor show and when compared to the India-spec model of Harrier one of the main differences is the design of alloy wheels. The company might have given slightly bigger 18 or 19-inch wheels for the show car to make it look more appealing as the India model gets 235/65 section tyres with 17-inch alloy wheels on the top end model and 16-inch wheels for the lower spec models. The Buzzard Sport also gets the black finish for the roof, which goes well with the overall design theme. Except for the new alloy wheels, black finish for the roof and new name, most of the exterior elements remains the same compared to the India-spec model. We don’t know whether the company has made any other changes for the interior to make it premium or not. The Harrier showcased at the Geneva Motor Show is finished in Calisto Copper colour scheme. The company also revealed the much awaited seven-seater version of Harrier and it is christened as Buzzard for the European market. Both these models are based on the same OMEGA platform, which is derived from the D8 platform of Land Rover Discovery Sport. The Harrier is the production version of H5X concept showcased at 2018 Auto Expo. The Harrier debuted the new Impact 2.0 Design philosophy of Tata Motors as the front get split head-lamps set up in which LED DRL is placed on top and the projector headlamps are positioned below. The company has carried over this design theme for future models also. The rear gets LED tail lamps along with a muscular bumper. The interior design is also completely new and the company has improved quality compared to previous models. The Harrier is loaded with features like infotainment system, large MID screen in the instrument cluster, climate control, traction control, cruise control and more. The Harrier is powered by 2.0 L engine with 140 PS and mated to 6-speed manual gearbox. In India, the Harrier price starts at Rs. 12.69 lakh (Ex-Showroom).